Since we started stocking this new range of stamps from Personal Impressions, I've been dying to give them a try. 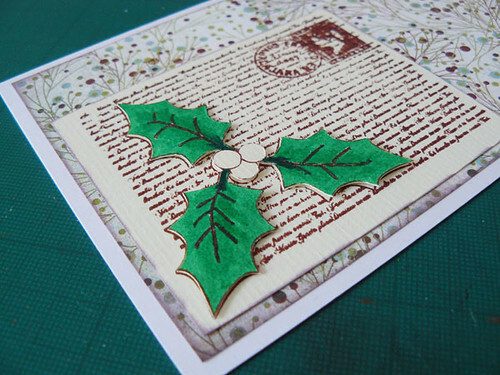 This step-by-step Christmas card uses the 'Holly Christmas' set to make a simple but effective card. The beauty of cards like this is that you can stamp and colour whole batches of these images to set up a production line, simplifying the whole process and making it really easy to make all your cards this year. It's easier to take the inkpad to the stamp - especially if, like me, you are using an acrylic block that is bigger than your stamp. 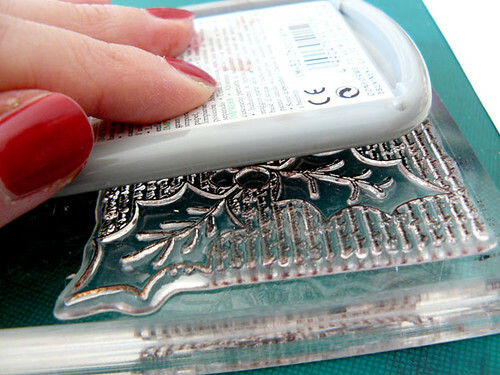 Some acrylic stamps need conditioning before you use them. I didn't need to do it with these, but if you find that they are not stamping cleanly then lightly rub the stamp with fine sandpaper and clean with a wetwipe before using. This removes any residue from the production process so you can stamp a good clear image. 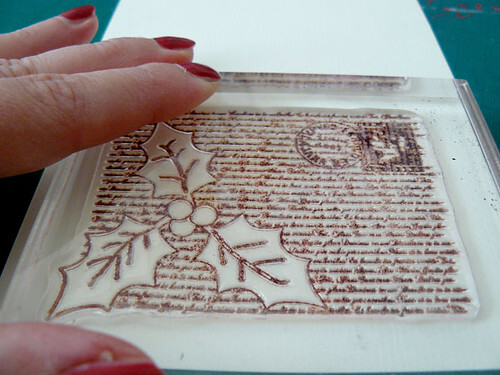 Stamp the image onto a separate piece of light cardstock - not your card blank. These stamps work really well with standard 6x4 inch (10x15cm) card blanks. 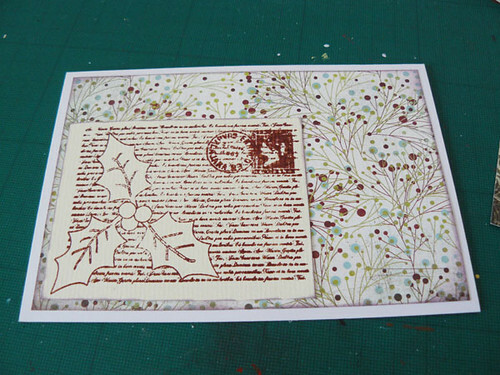 Cut a piece of background paper slightly smaller than the card, to leave a border. Ink the edge of the paper and stick it to the card. 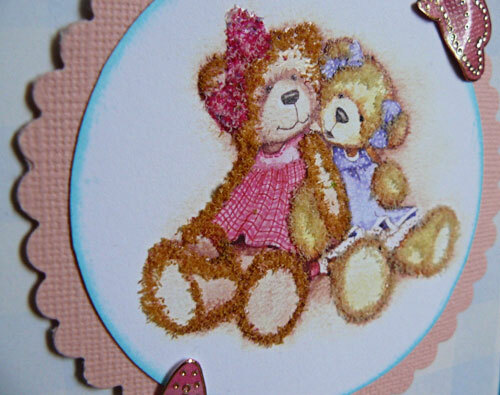 Trim your stamped image, ink the edge and adhere this to the background on your card. Stamp another image on the same coloured cardstock as before. You'll need two of these, so go ahead and stamp another one as well. 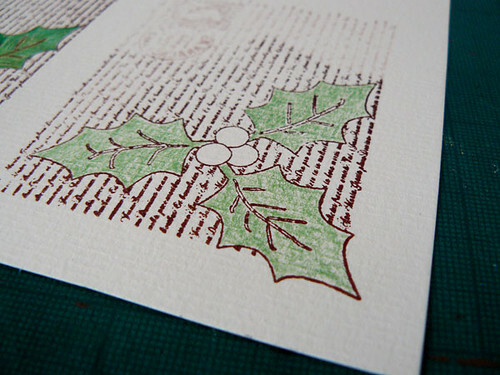 We only need the holly and berries so you don't need to ink the whole stamp up again, just ink the part you need. 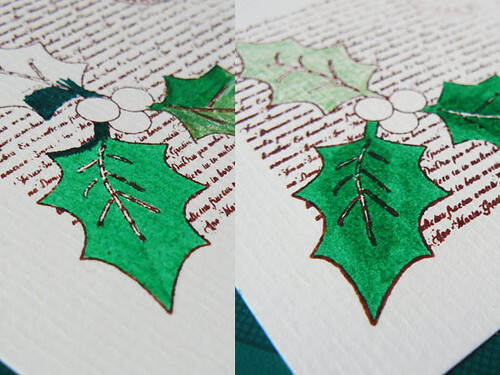 Colour in the holly leaves using a dark green pencil. On the left is an image that's coloured using just a standard felt tip pen. On the right, the same image was coloured first with pencil, then a felt tip pen used over the top. You can see that this gives a much deeper green and better texture on the leaf. 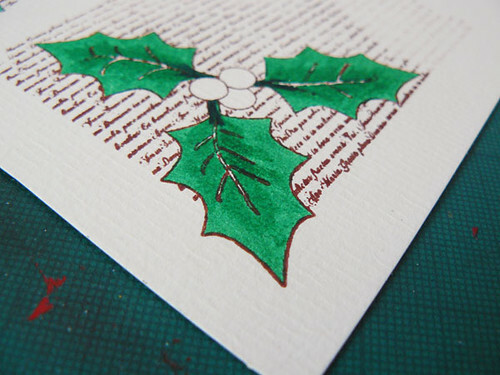 The shading in the centre of the leaf was achieved by lightly brushing the felt tip pen over the paper again. If you are too heavy-handed it can create ugly streaks, but do it gently and you can achieve subtle shading like this. Once you have coloured in the leaves, cut out this part of the image from the background. You don't need to colour the berries, we'll do them on the next layer. Use sticky pads or silicone to fix the leaves over the original image on your card. 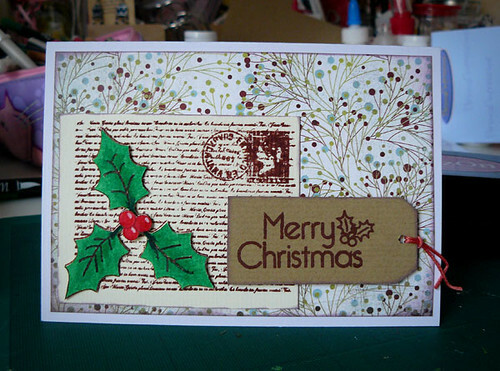 On your spare stamped image, colour in the berries using a bright red felt tip pen. Use a white gel pen to add highlights. 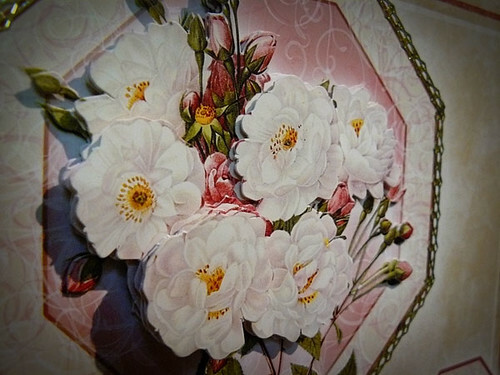 Cut these out and use sticky pads or silicone again to create the top layer of your decoupage image. 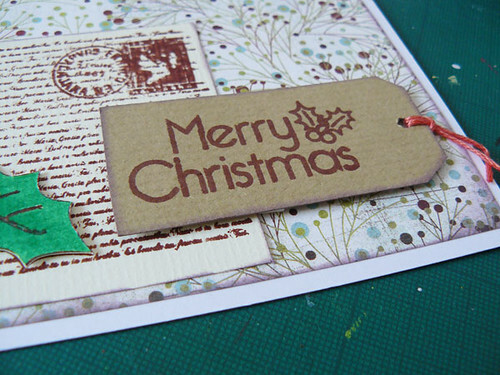 Take the greeting from this set, and stamp it onto a slightly darker shade of cardstock. Cardboard boxes and cereal packets are great for this kind of natural brown - you don't need to worry about materials being acid-free for cardmaking. Trim this into a rectangle and cut off two corners so that it looks like a luggage tag. Punch a small hole and knot some embroidery thread through it. 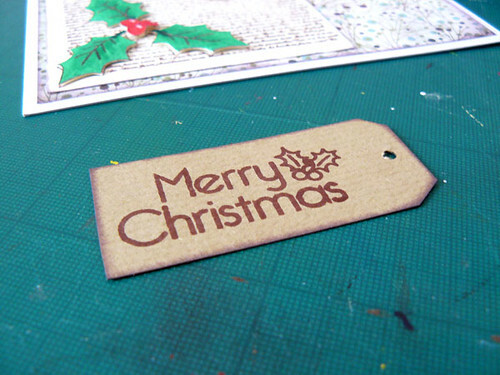 Ink the edge and use more sticky pads to adhere the tag to the card. And there you have it! Nice and easy to make, but it still looks great. Perfect for Christmas. 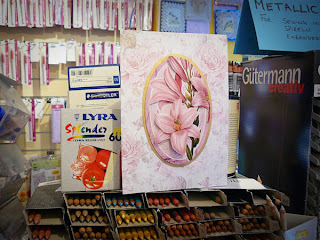 These beautiful kits from Hunkydory are gorgeous. 8X8 is an unusual size, so they'll definitely stand out against all the others on the shelf! 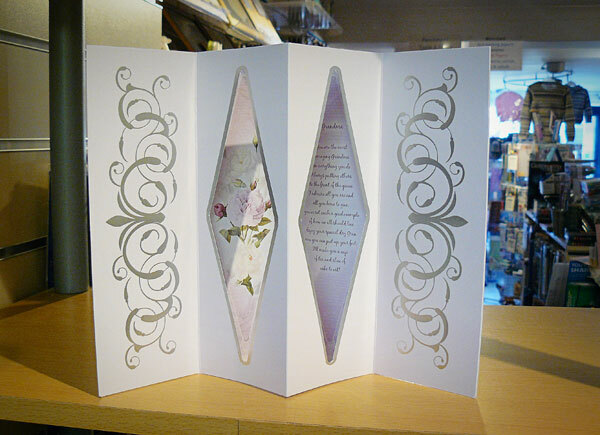 The decoupage is easy to do (nice sharp die-cuts) and creates a really thick, dimensional image. 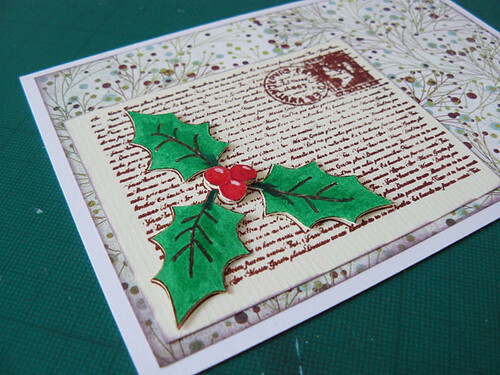 Hunkydory have also made some brilliant Christmas card kits as well. I love the idea of the jumping boxes, and the Kinetic Cards look gorgeous. 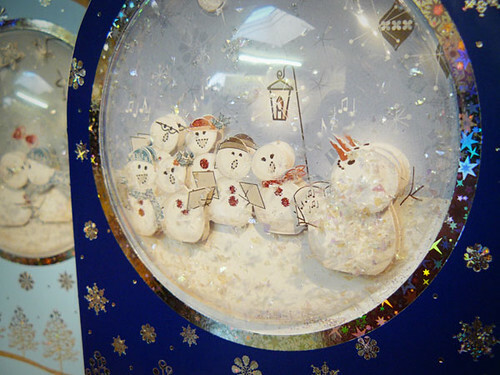 And who can resist the snowmen with their special snowdrift sparkles? 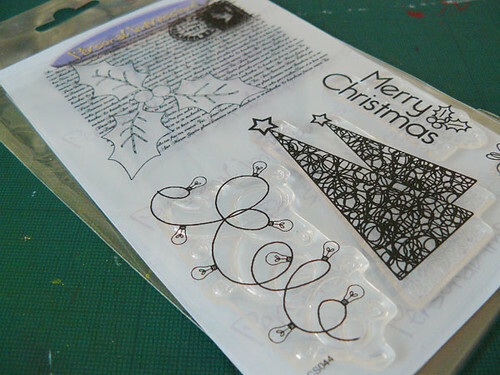 These clear stamps are a new range for us - and what a range it is! 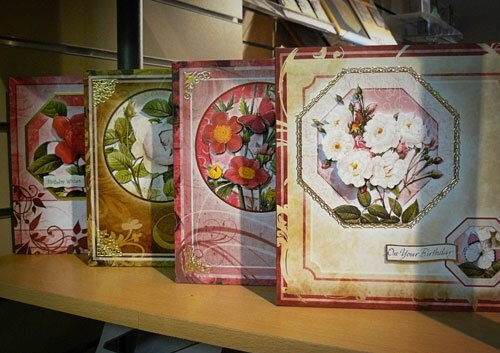 They have everything from Christmas, to beautiful scrolls and patterns, greetings and sentiments, and cute images. They're so new that I haven't had a chance to make any samples yet, but you can be sure I will! We know you love these La Pashe Trinitage cards - so much so, that we've added some new designs as well. 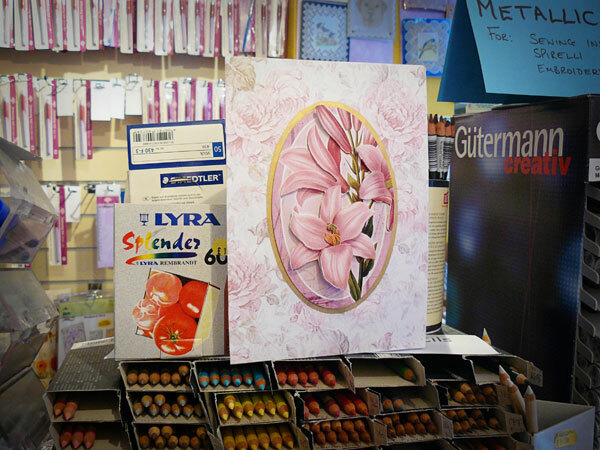 If you want to add some texture to your cards this year - why not try some Flowersoft Ultra Fine? You don't have to use it with Flowersoft images - it's great for adding some extra depth to any stamped or pre-printed image. If your crafting is more yarn-based than paper, then Wightcat Wools can help you out there too! Mindy has some great Christmas knitting patterns in stock, as well as plenty of patterns for you to make those Christmas presents for everyone. And with the weather turning colder, it's the perfect time to make something in Cygnet Grousemoor Chunky - our newest range. 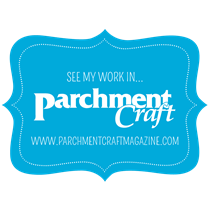 I hope there's something there to inspire you...whatever you do, make sure your Autumn is a craft-filled one! We are very excited here at Wightcat Crafts & Wools. Hilary & Kate have been busy designing...look what they've come up with! 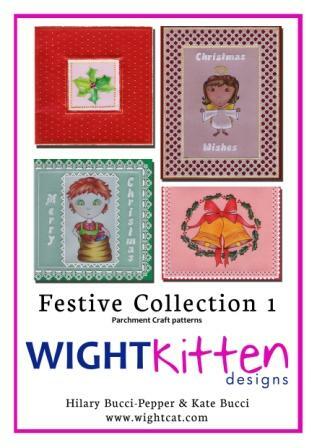 Its called Christmas Collection 1 by WightKitten. Its very nice! 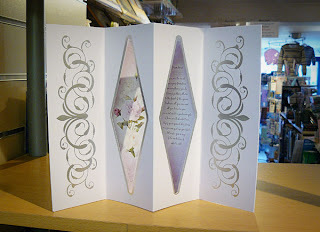 It's no secret that I think Hunkydory card kits are great. 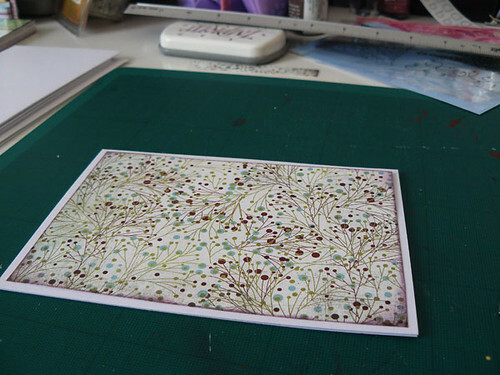 The quality of the cards and die-cut decoupage is excellent, and they are so easy to put together. They're also great value - these Treasured Moments kits are just £4.99 for a kit that makes four complete cards, and the Treasured Moments Companion Collection is just £6.99 and can make up to 12 cards. I love seeing people's faces when you give them a card you've made yourself. And when it's this easy, everyone can have one!